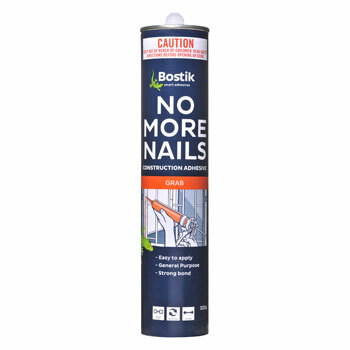 Bostik No More Nails is a versatile general purpose construction adhesive suitable for bonding a wide variety of building materials. A gunnable synthetic rubber based adhesive which exhibits excellent green strength, flexibility and good temperature resistance. Bostik No More Nails conforms to AS 2329 Mastic Adhesives for fixing wall board.